Join the USC Latino Alumni Association’s 37th Scholarship Golf Classic at Industry Hills Golf Club for a round of golf, a day of fun, networking with alumni and friends. Proceeds benefit the USC Latino Alumni Association Scholarship Fund and student leadership development programs. First held in 1980, the USC Latino Alumni Association’s Scholarship Golf Classic is one of the association’s primary scholarship fundraising events. 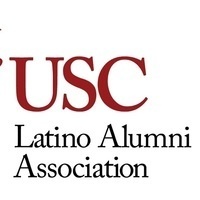 Each year the USC Latino Alumni Association awards 200 partial-tuition scholarship -of up to $5,000 each –to outstanding USC undergraduate and graduate students. Over the years, we have awarded more than $16 million in scholarship support to nearly 8,400 students.